We're now a Leap N Learn certified studio, which means all teachers are trained in this award-winning and well-thought out curriculum for early dance training. 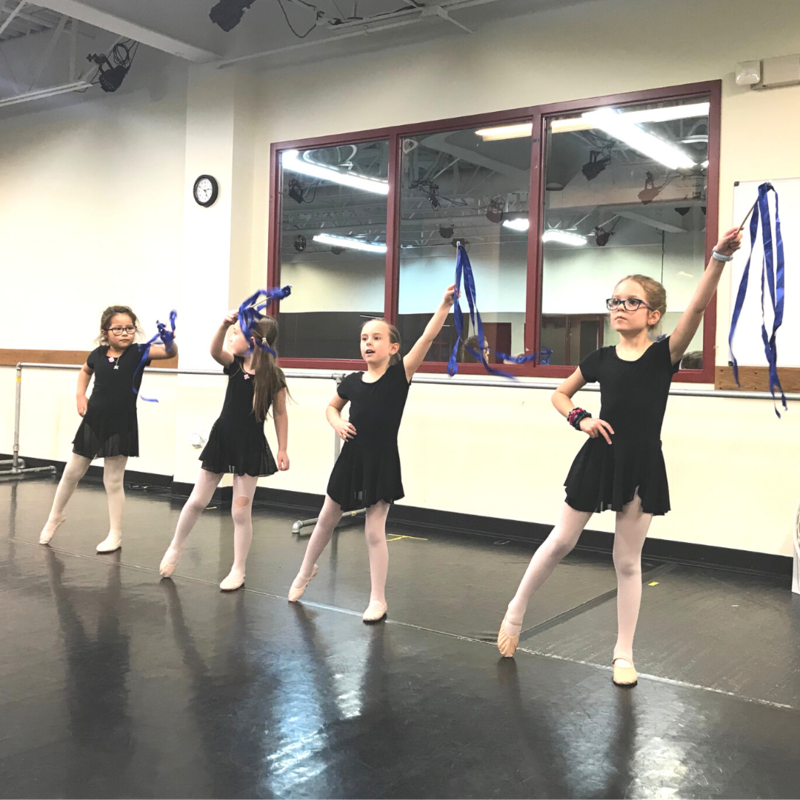 Wanting to provide the best, most age-appropriate curriculum we found a perfect fit in Leap N Learn, a program that was developed by a long-time dance educator in collaboration with a child psychologist. We started implementing the program in some classes over the summer have achieved wonderful results and received great feedback from teacher, parents and our young dancers. Preballet classes are 60 minutes long. There are two levels: Preballet I (Leap 'N Learn 5) and Preballet II (Leap 'N Learn 6). Tuition is paid in 9 monthly installments of $64. There is no registration fee. Payment of your first installment at registration reserves your child's spot in class. The remaining 8 installments will be charged to the payment method we have on file on the 15th of Sept. through April. All Preballet dancers are invited to participate in our annual Verona Youth Ballet Nutcracker. Rehearsals for younger dancers will be held on Saturday afternoons starting in mid-October. Preballet Dancers will also perform in the Preballet Showcase on Sunday, May 19 at our Ballet U Theatre. This is a short and age-appropriate event. No costume purchase required. "What should my child wear to Preballet class?" Girls: Light blue skirted leotard (Preballet I) or black skirted leotard (Preballet II), pink tights and pink leather ballet slippers (available at Ballet U); Boys: black leggings or shorts, white t-shirt, black leather ballet slippers. If you already own dance wear in a different color it's OK to wear that until outgrown. Please do not purchase ballet shoes at any of the big box stores. They are not leather and do not fit well. Contact us to get fitted for dancewear at Ballet U.